Retail stocks $XRT are on the weak side today after $KORS earnings. 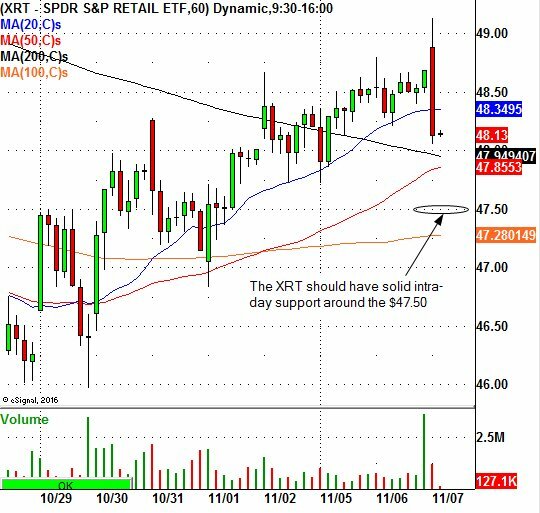 Day traders can watch the $47.50 area for intra-day support on the $XRT. Day trade with Nick and Gareth live right here. Take a look at one of the trades they took this morning, right here.